Kages Flames of War: Answers: First Skill testing question. 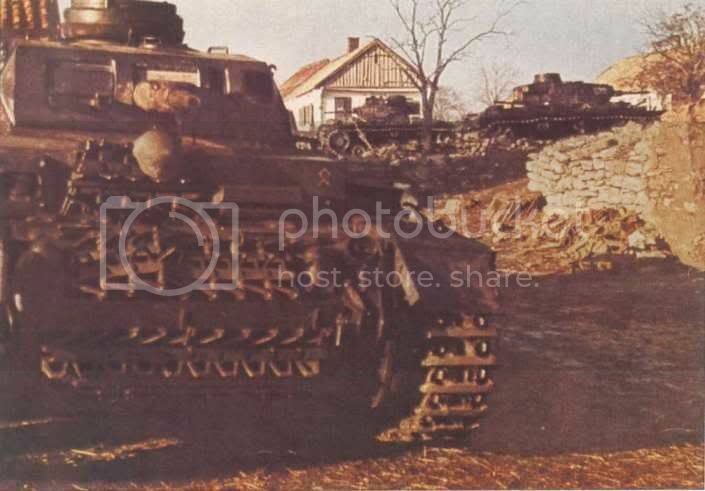 Ah well, I was almost there thinking the front Panzer may have been an N, tank in the background is definitely not an N as the barrel is too long and thin thus thinking they're a J.
I've created a history page, where i'll post these, and where people can ask questions they want answered. I think you have this mostly right but I do not think these are Pz IIIN. The foreground tank has the internal mantlet that was typical of G and earlier. Also the hull MG mount is square which was another feature of model G and earlier. I think these are Pz III G with the 5cm main gun. @ Drunken Samurai. I think you could be right. That muzzle looks too small for a 7.5 gun. But I don't think those back ones are G's. The Barrels look to long. But the fun of these old pictures... its really hard to tell. as I mentioned the middle one looks like a T-26 turret, but I highly doubt it is. I'm still not convinced that is a G. Might even be an M.
I'll have to do a bit more digging.